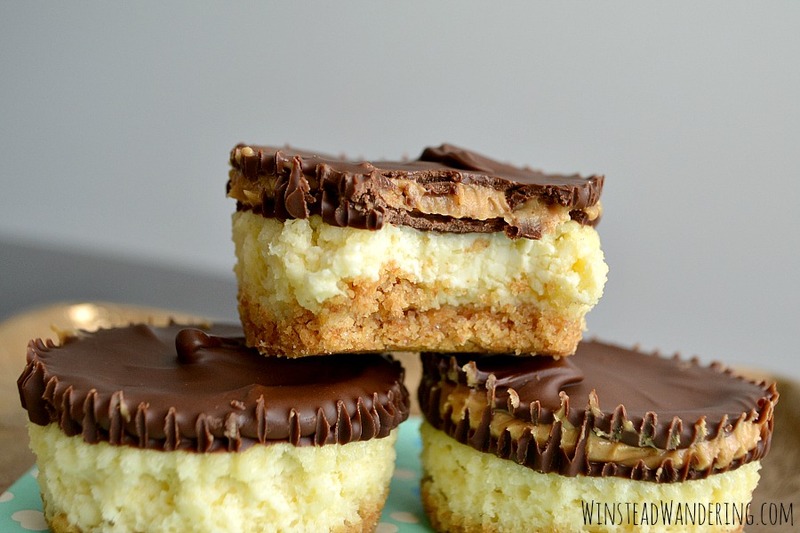 What do you get when you combine creamy cheesecake with rich and decadent homemade peanut butter cup bars? 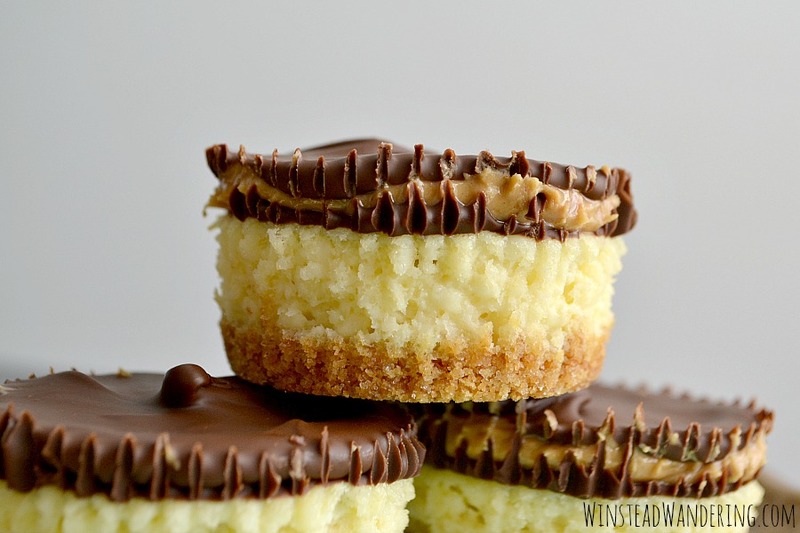 You get these Miniature Peanut Butter Cup Cheesecakes. J has two favorite desserts: cheesecake and homemade peanut butter cup bars. 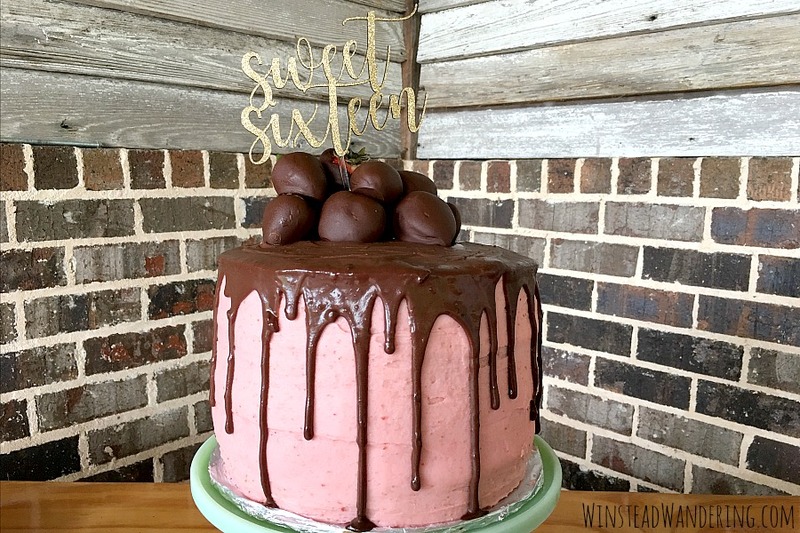 Last year for his birthday, I tried to combine those two using a springform pan and a no-bake cheesecake recipe. The resulting dessert was certainly tasty, but it was super messy and it just wasn’t what I had hoped it would be. This year, I vowed to get things right. I began by making miniature cheesecakes with graham cracker crusts. These little guys, on their own, are delicious. They’d be perfect as is, or topped with fruit. I didn’t stop there, though. I added a layer of chocolate, then a layer of peanut butter, and then another layer of chocolate, to top the cheesecakes with a homemade peanut butter cup. Y’all, I totally nailed it with this recipe. 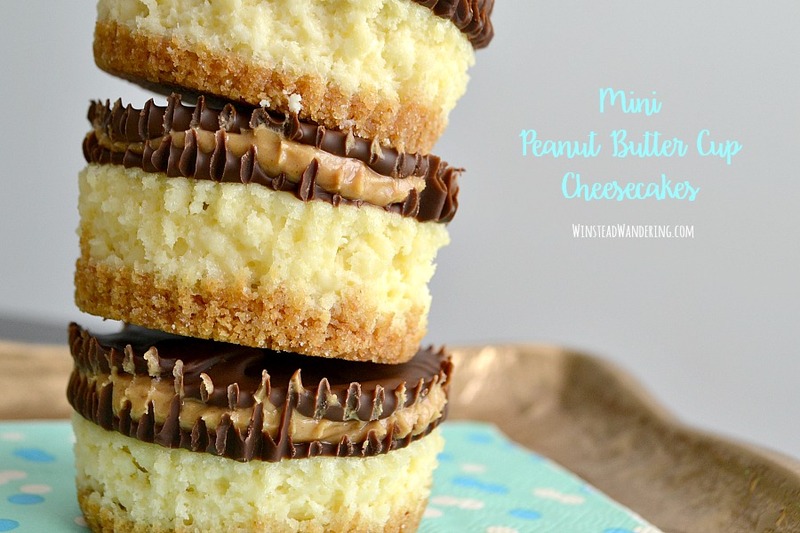 The cheesecake is creamy and smooth, while the peanut butter cup layer is rich and not too thick. These little threats are perfectly sized for sharing, too! 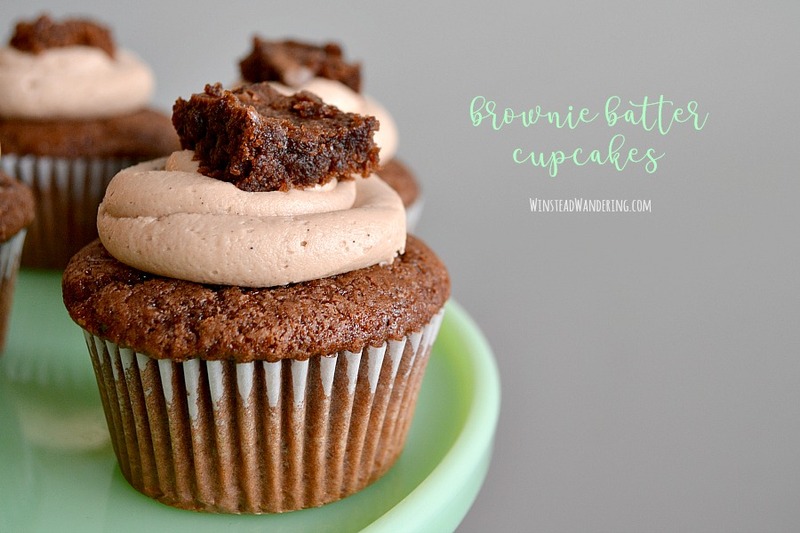 If you’ve ever used your fingers to scrape the last bit of brownie batter from the bowl, these to-die-for Brownie Batter Cupcakes are as close to dessert heaven as you can get. A few weeks back, I had the opportunity to make a birthday cake for a friend’s daughter’s surprise sweet 16 party. The daughter also happens to be a former student, one of my kids’ favorite people, and a great babysitter, so I knew I had to make a cake worthy of her awesomeness. I was pretty proud of the strawberry layer cake with chocolate ganache, but as a lifelong chocolate-lover, the Brownie Batter Cupcakes I made to supplement the cake were, to me, the real star. I know I’m not the only person who puts an inordinate amount of effort into scraping every.last.bit of batter from the bowl when I make brownies. It’s just irresistible, and it was my inspiration for these Brownie Batter Cupcakes. 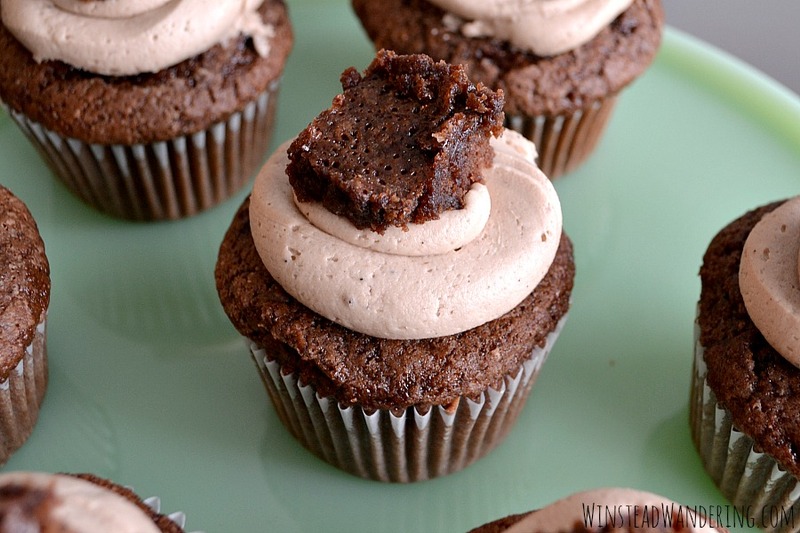 With brownie mix in both the cupcakes and the frosting, these cupcakes are every chocoholic brownie-lover’s dream. 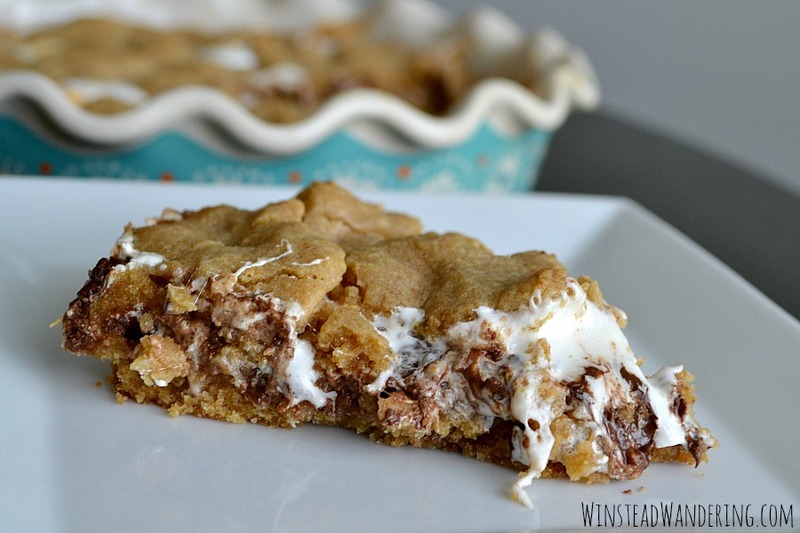 This S’mores Cookie Pie is perfectly gooey and rich, and it serves a crowd. Forget the charred marshmallows and the sticky fingers; dig in! Every June J’s extended family hosts a reunion, and every June (when we’re home to attend) I take the opportunity to test one of my dessert recipes with the crowd. 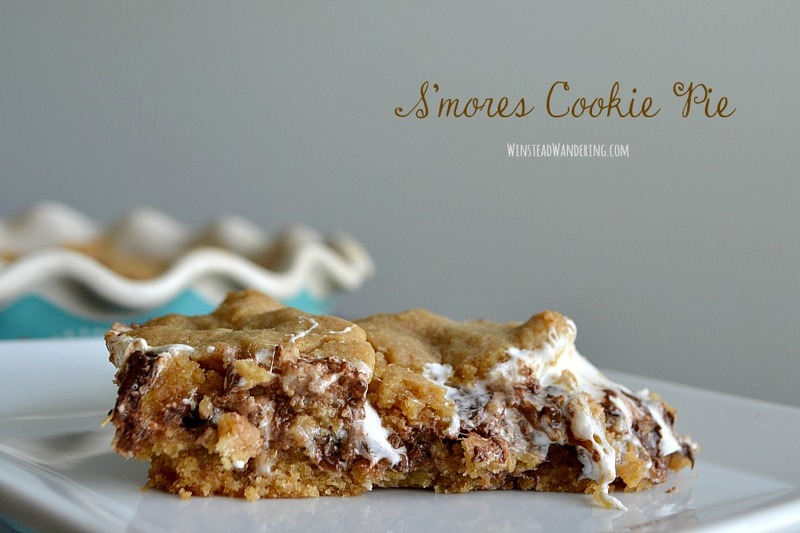 This year I went with S’mores Cookie Pie, and it just might be the most popular recipe I’ve ever made for the reunion. It might even beat the Brown Sugar Pound Cake with Caramel Icing, but I think that race is too close to call. Regardless, this recipe was insanely popular. It was a hit with even the pickier folks, and it’s not difficult to see why. 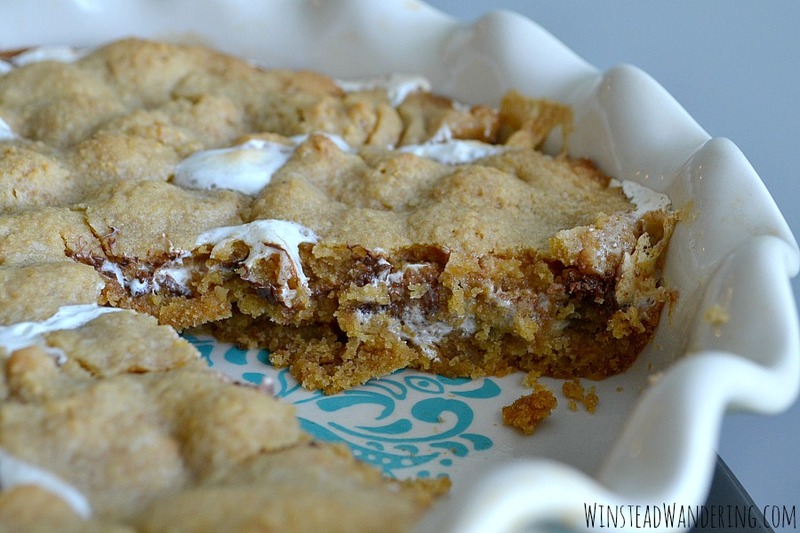 The base of my S’mores Cookie Pie is just half of my chocolate chip cookie recipe, but I added graham cracker chunks for that classic s’mores flavor. Instead of using marshmallows or marshmallow fluff, I used both for maximum gooey goodness. There are plenty of chocolate chips, of course, and they get wonderfully gooey during baking. 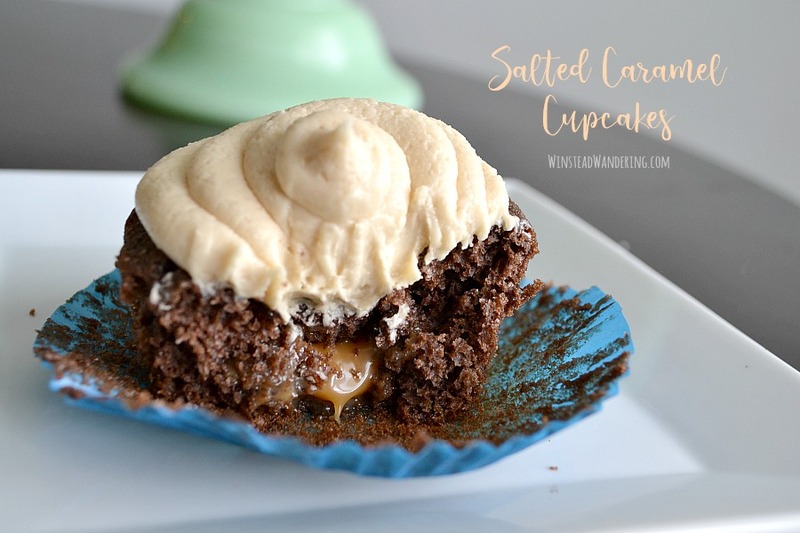 With a rich brownie-like cupcake, smooth caramel filling, and a decadent from-scratch salted caramel frosting, these Salted Caramel Cupcakes will quickly become your new favorite treat. I recently heard someone mention her aversion to the salted caramel “trend.” Maybe it is, in fact, just a trend or a fad, I will say that I am 100 percent in favor of it. I’m a huge fan of the combination of salty and sweet, especially when it’s delivered to me in cupcake form. 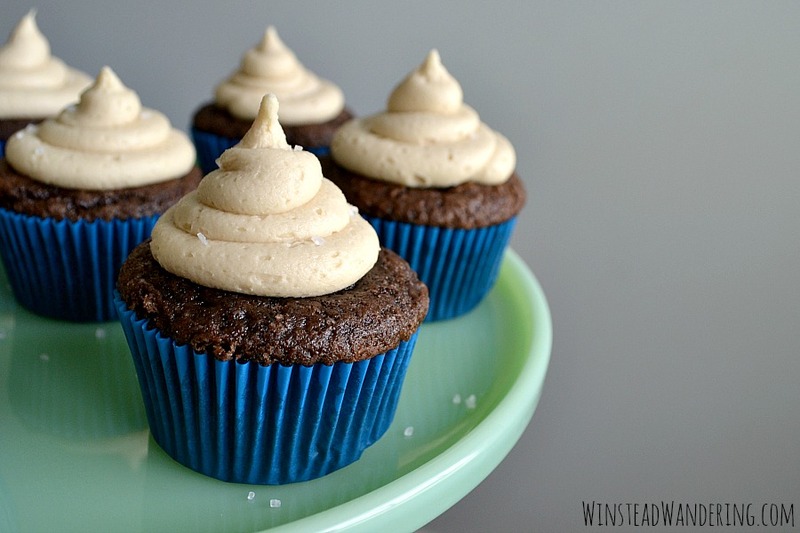 These particular Salted Caramel Cupcakes are an amalgamation of a few of my favorite recipes. The cupcake itself is the same one I use for my Chocolate Peanut Butter Cupcakes and my Triple Chocolate Cupcakes. While it’s wonderfully moist and tender, it also forms a slightly chewy top that’s reminiscent of a brownie. The filling is the recipe I used to top my popular Salted Caramel Cookie Bars, and the frosting can be found on my Pumpkin Cheesecake Cupcakes. Basically, I took a bunch of separate tried-and-true recipes and combined them into one super recipe. The result is perfectly satisfying Salted Caramel Cupcakes that just might be enough to convert even the most reluctant salted caramel eaters. You don’t have to choose between popping open a can or spending half your day tending to dough. Packed with gooey filling, smothered in rich glaze, and made without yeast, Homemade Cinnamon Rolls can be ready to enjoy in under an hour. 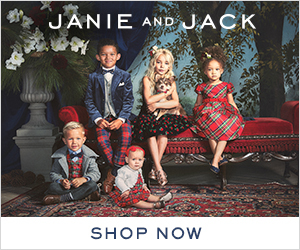 I recently heard the period of April and May described as the Christmas season’s slightly less hyper sister. It’s true, y’all. Even without the insane busyness of wrapping up the time-consuming project for the capstone class of my Masters degree, we’ve still got T-ball games, science fairs, awards days, state tests, and more. I don’t mind being busy, but I don’t like when that busyness keeps me from doing something I love — baking. I realized last Sunday morning that I hadn’t made a new recipe in quite some time. My kitchen is my happy place, so of course that realization got me thinking about what I could whip up to share with my Sunday school classmates at church. 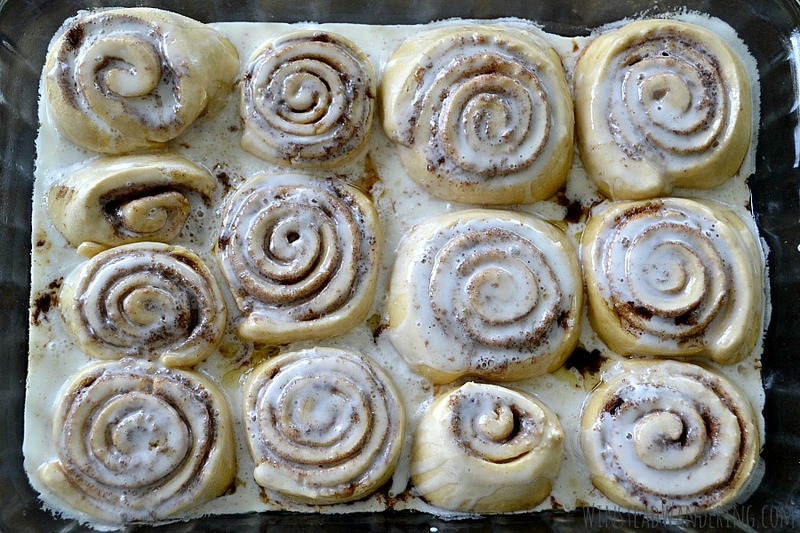 These Homemade Cinnamon Rolls were the clear winner. 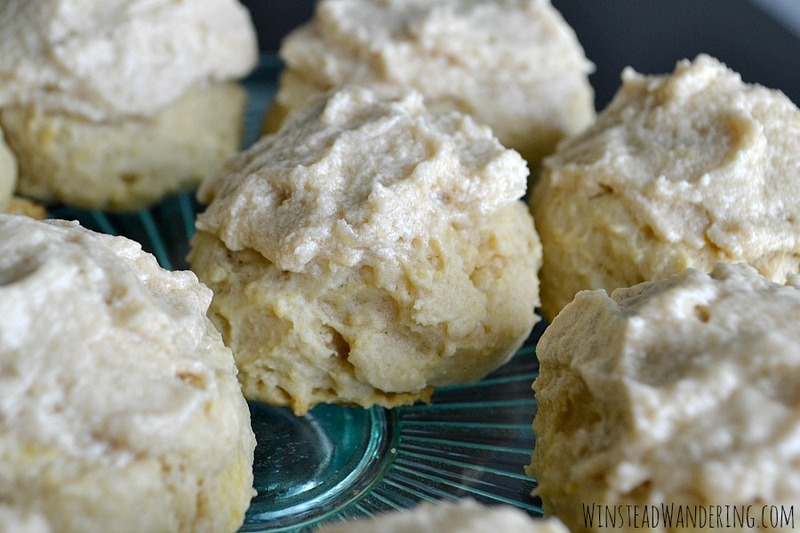 Because they lack yeast and don’t require rising time, they’re super easy to make in just a couple hours. I used my beloved KitchenAid stand mixer to stir and knead the dough, but it can be done by hand, too. 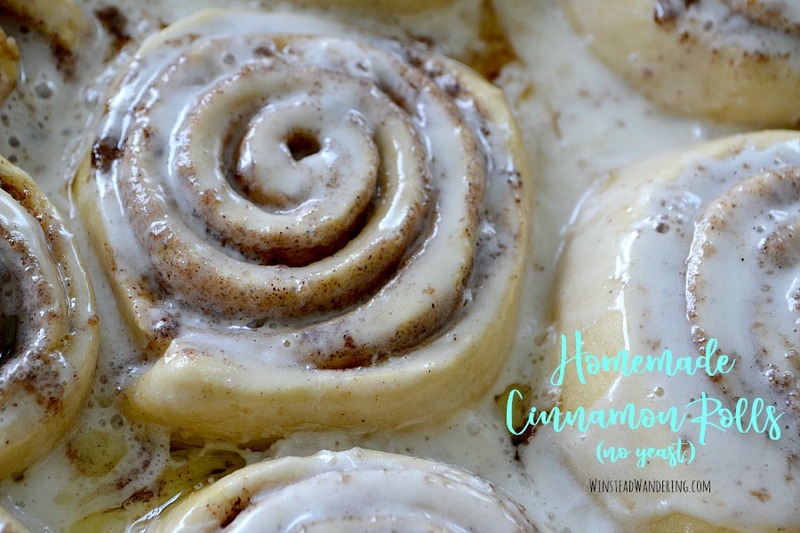 With a straightforward filling and a two-ingredient glaze, this recipe is easier to make than you probably thought Homemade Cinnamon Rolls could be. They’re perfect for lazy Saturday mornings or special occasion brunches. Don’t be intimidated! 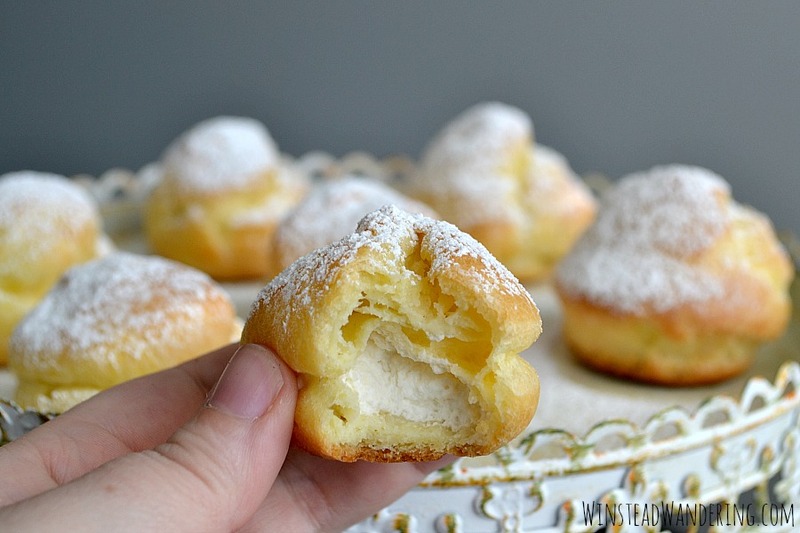 Classic Homemade Cream Puffs, with their fluffy dough and their lighter-than-air filling, are surprisingly easy to make and totally worth the effort! Caution: the words in the following paragraphs are potentially hazardous to your kitchen and your waistline. You’ve been warned. 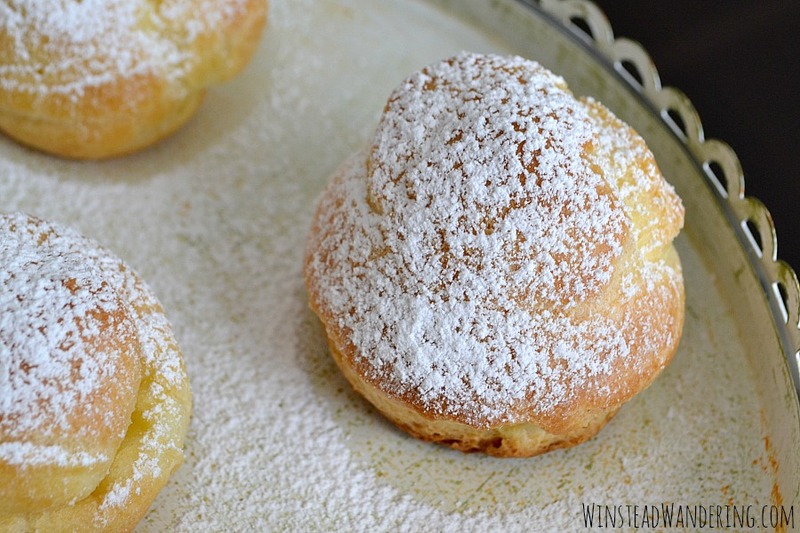 Y’all, Classic Homemade Cream Puffs are way easier to make than you might think. The dough doesn’t have any finicky steps, and the cream filling is literally just whipped cream (it’s also called Chantilly cream; use that term if it makes you feel fancier). The dough is made on the stove top, which at first glance makes it seem a little trickier than most doughs, but there’s nothing to it. No thermometer or special gadgets required. Just a little bit of stirring and, voila, you’ve got your dough (called pâte à choux, another fancy term) faster than it takes to whip up a batch of chocolate chip cookies. The puffs bake for under 25 minutes and then, because they’re light and airy, they cool quickly. The whipped cream filling, which you can totally customize based on your own preferences, comes together in just a few minutes. Fill those little beauties with cream and your done! 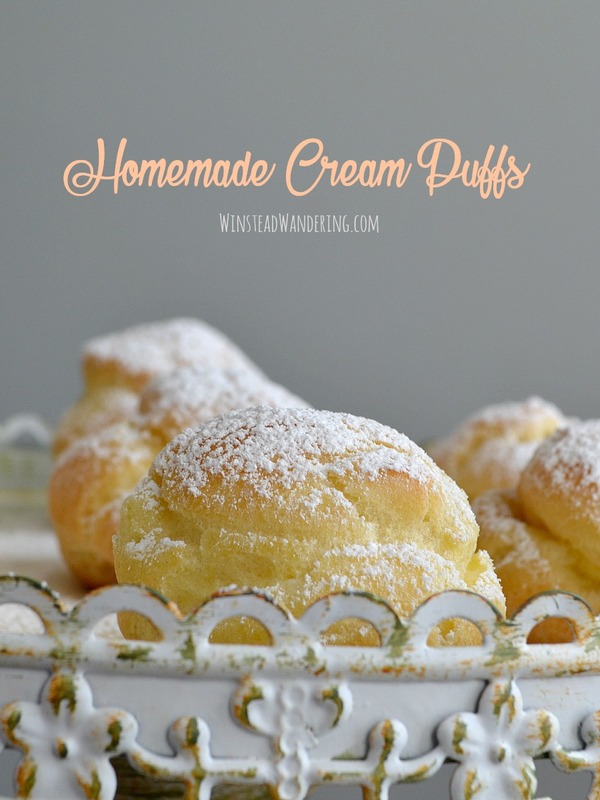 So if you’ve been avoiding making your own classic homemade cream puffs because you feared they were far too difficult for the average home cook to pull off, let me tell you, you’re wrong. Like I said, you’ve been warned. 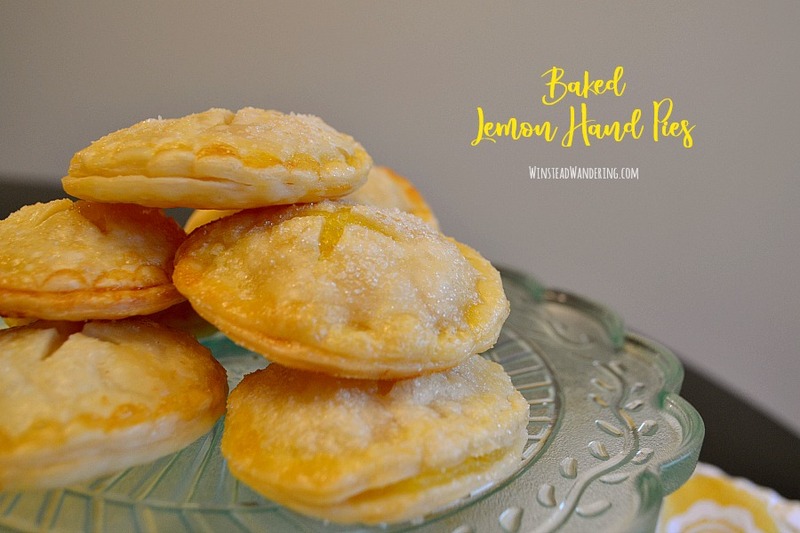 Filled with a perfectly sweet and tangy lemon curd and finished with a sprinkling of sugar, Baked Lemon Hand Pies are adorable, yummy, and super easy to make. My church throws baby showers the way I imagine a well-trained military unit conducts missions. From the food sign-up list to the decorating to the gift-opening, every aspect of the shower is planned for and anticipated. J and I were the lucky recipients of a shower when we were pregnant with Q; she was our third baby, but our first as members of our church in Mississippi, so our church family celebrated with us. I don’t remember exactly what food was served (sausage balls were likely involved), but I can guarantee I went back for second (and probably wanted to go back for thirds). We’ve thrown a few showers since then, and every time I volunteer to bring something sweet. Triple Chocolate Cupcakes and Chocolate Peanut Butter Cupcakes were both shared at a church baby shower, and I made Oreo Cupcakes for a joint shower thrown for us at school (I made Strawberry Limeade Cupcakes for the shower first before discovering I had the day wrong…). Most recently, I made Strawberry-Filled Vanilla Cupcakes for a coworker’s shower. 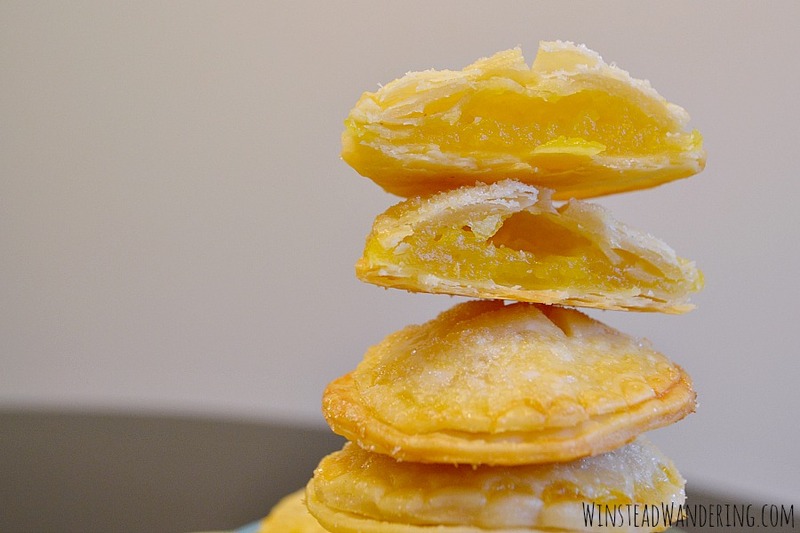 There’s a clear cupcake trend there, but today, for a virtual baby shower honoring Madison from A Joyfully Mad Kitchen, I’m sharing these Baked Lemon Hand Pies instead. They’re super easy to make, and the bright citrus flavor pairs perfectly with the hint of crunch from the sugar sprinkled on top. 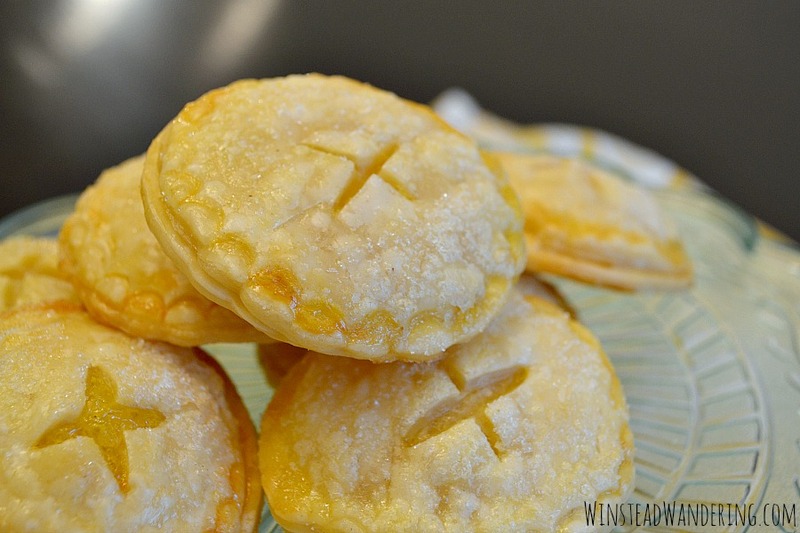 Anything individually sized like these pies is adorable, but throw in delicious, too? They’re irresistible. Flavored with rich notes of molasses and a few complementary spices, Southern Molasses Cookies are chewy, moist, and just a tad crispy without being crunchy. During our nearly ten years of marriage and seven-plus years of parenthood, I’ve spent much more time away from J, and then from J and the kids, than he’s spent away. I’m not gone a lot, but there’s been work training and a few visits home to Oregon. Recently, though, for the first time ever, J left all three kids and me for three days while he chaperoned a school trip. I’ve never been secretive about the fact that J is a better parent than I am. I don’t think I’m a bad parent, and I think in many ways we complement each other well, but if there was a scorecard, he would come out ahead. He’s the exclusive handler of all bodily fluids that don’t come inside a diaper, and he is the reason our kids always have clean clothes to wear. Despite my status as the lesser parent, all four of us survived in J’s absence. We weren’t late getting anywhere, everyone got fed, and I even managed to wash a load of laundry (I literally mean wash; the clothes got moved to the dryer, but not fully dried). 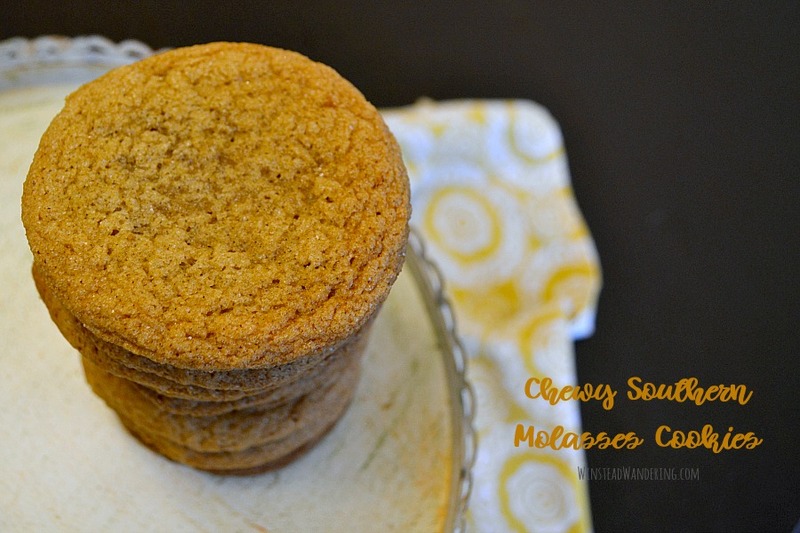 I also found time to whip up a batch of Chewy Southern Molasses Cookies. 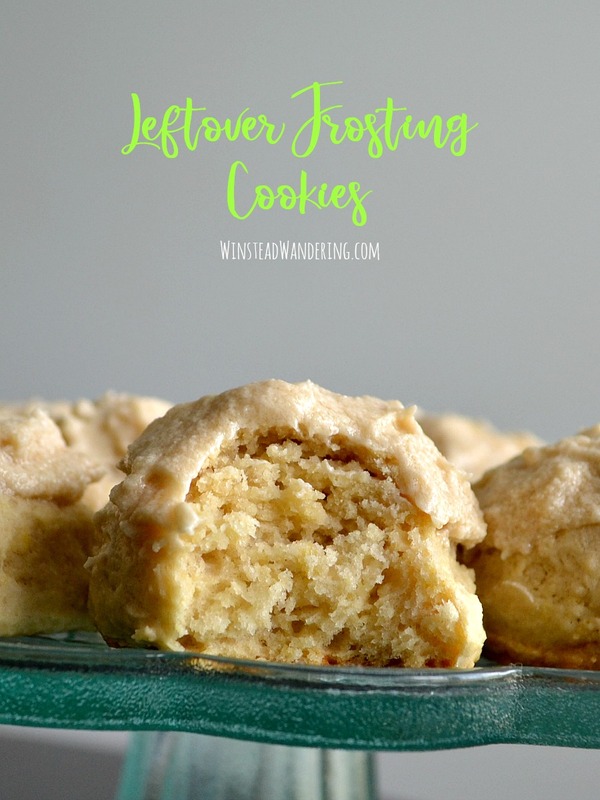 I was left with a big jar of homemade molasses after my mother-in-law gave it to me to use to make Instant Pot Baked Beans, and I knew I’d use at least some of it for these cookies. 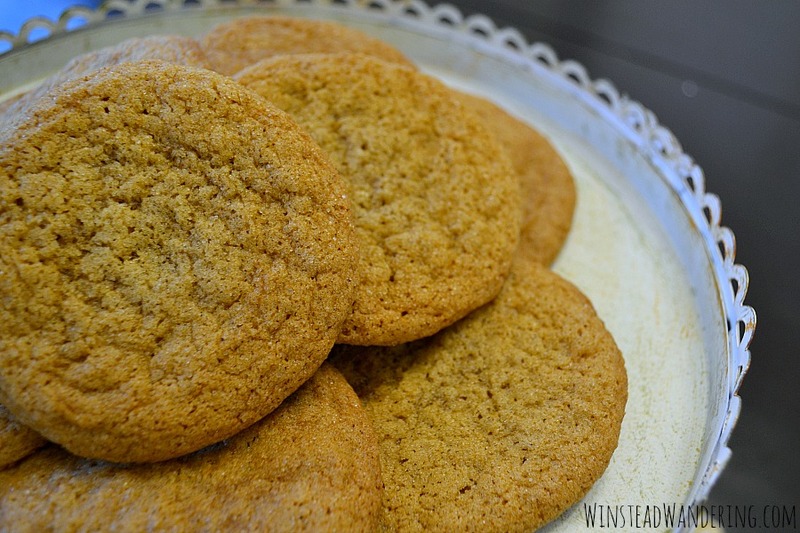 A molasses cookie is super similar to a gingersnap, but where gingersnaps are typically crunchy (snappy), molasses cookies are soft and chewy. Whatever you call them, just be sure to make a batch or two soon. 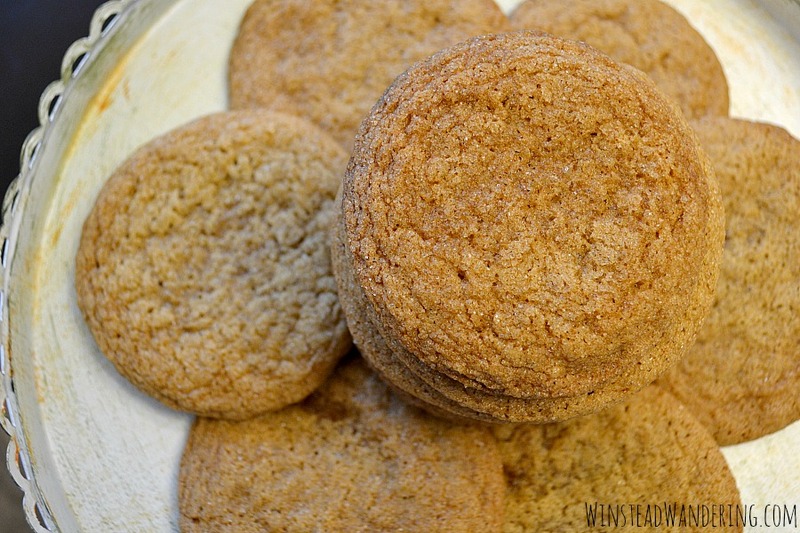 You’ll wonder why scrumptious spice cookies like these aren’t a staple in your kitchen! Made in one bowl and ready in under twenty minutes, this Chocolate Chip Skillet Cookie for Two recipe is gooey, rich, and irresistibly decadent. I’ve mentioned before that I don’t usually keep pre-made desserts in the house. 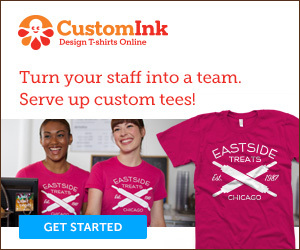 You’ll rarely find a box of cookies in the pantry or a pint of ice cream in the freezer. Mostly, I do this because J and I both have pretty insatiable sweet tooths (teeth?). Those cookies and that ice cream wouldn’t last long at all in our presence. In order to avoid weighing 300 pounds, I just don’t buy the stuff. The problem lies in my love of baking. I don’t mind heading to the kitchen in the evening, after the kids are in bed, to whip up something sweet. That’s actually the story behind Chocolate Chip Cream Cheese Dessert Quesadillas, Mug Brownies, and Chocolate Caramel Lava Cakes. 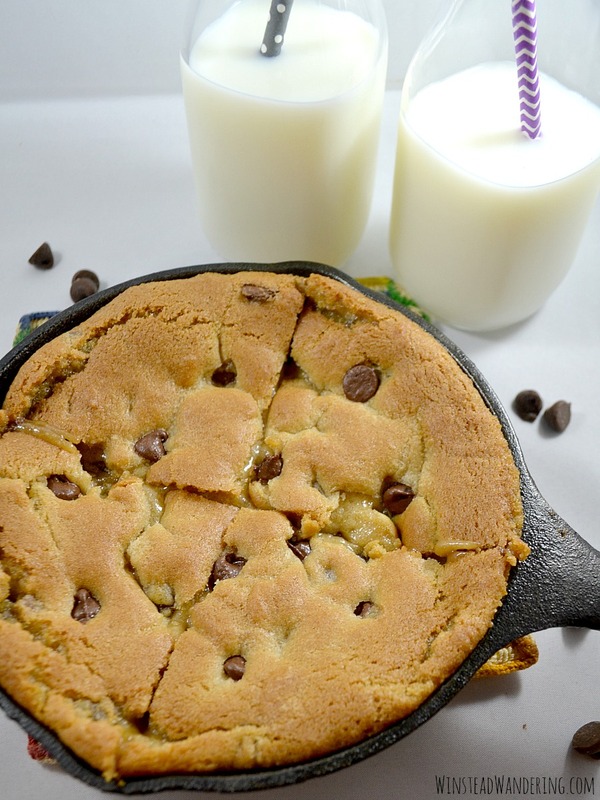 And now, it’s the story behind my Chocolate Chip Skillet Cookie for Two. This recipe is exactly what it sounds like: a perfectly-portioned cookie made for sharing. 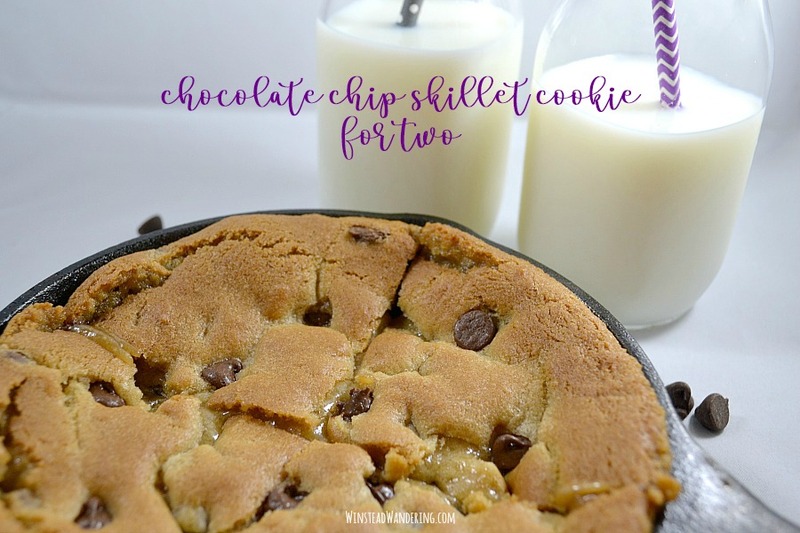 It’s got all the must-have qualities of a good chocolate chip cookie, plus the delightfully crunchy edges that are courtesy of the adorable mini skillet. J and I prefer to enjoy ours with a glass of cold milk, but it’s also wonderful topped with ice cream, chocolate syrup, or fresh fruit.